Hey Fans, The Players Love You Guys! "The fans have been unbelievable. Once you got them there, once they came to a game, they couldn't leave. It was unbelievable to see by the end of the season, the Calder Cup Finals, 7,000 fans in the middle of June in Central Texas, waving their rally towels and probably louder than most arenas in the league. It was just unbelievable." "And if they've taken a liking to my style of play that's also nice to see. You see a lot of Gazdic jerseys and t-shirts out there and it's definitely nice when someone's showing you support and I'm glad I have some fans out there." "[The atmosphere] was unbelievable. We got fans throughout the whole season, 4 or 5 thousand fans, which is really good, even the odd 6 or 7,000 fans for some games. But then during the playoffs, those last two rounds, you've got 7,000 fans every single night. When we were on the road during the [regular] season, they'd do occasional watch parties, but when you're at home and you can't get enough fans in the stands that you have to throw a watch party at home and people show up for that, that shows that we took that area by storm. They weren't expected that or didn't know what was coming." 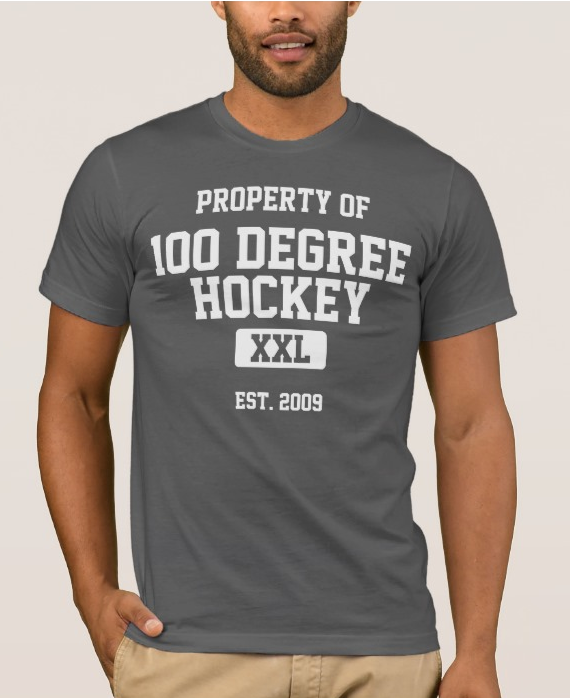 "A lot of people who had never watched hockey came in, saw a couple games and loved it. We even had fans throughout the season that would saw that they came to one game or two through the season and now they have season tickets. I think that's what it's all about, getting fans through the door and giving them something they can enjoy. Hopefully we can keep getting fans next year." 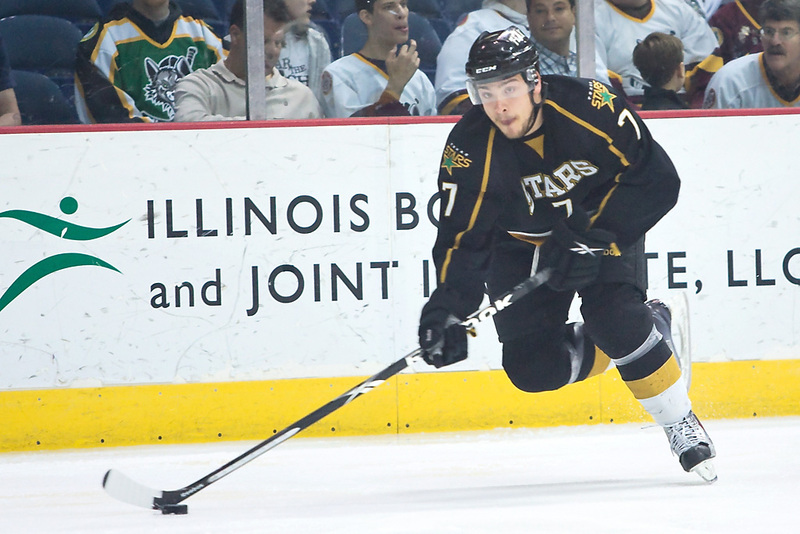 The Stars announced the signing of forward Cody Chupp to a standard player contract today. Chupp joined the Stars on an ATO at the end of their inaugural season. Chupp skated in 9 regular season games and 2 playoff contests, earning 1 point in the regular season and none in the playoffs. I don't know that we saw Chupp enough to make a judgement on what kind of signing this is. Chupp attended Ferris State, the same university as Stars forward Greg Rallo. The Texas Stars announced on Thursday that the club has agreed to terms with forward Cody Chupp for the 2010-11 season. Chupp, 25, made his AHL debut with Texas last season, ending a four-year playing career at Ferris State University. In nine regular season games with Texas, the 6-foot-1, 192-pound forward dished out one assist for one point. Chupp made his AHL debut against Chicago on March 26th and recorded his first career pro point with an assist against San Antonio on April 2 at Cedar Park Center. He was held scoreless in two playoff appearances for Texas this past spring. At Ferris State University, he scored 35 goals and dished out 60 assists for 95 NCAA points in 144 games played from 2006-10. As a senior, Chupp tied for the team lead with 21 assists and placed third on the team in scoring with 30 points. The Big Rapids, MI native also scored nine times in 35 games played this past season. Chupp posted a career-high 11 goals and tied his career high with 30 points as a sophomore at FSU in 2007-08. Ray Sawada has been re-signed by the Dallas Stars. The deal is a two-way, 1 year contract. Sawada, 24, spend the majority of last season with the Texas Stars, appearing in 60 games and tallying 19 points (8g, 11a) and 92 penalty minutes. He also played five games for Dallas in 2009-10 recording two shots. The 6-2, 207-pound right wing has played 122 career AHL games, collecting 49 points (16g, 33a). The Richmond, British Columbia, native was Dallas’ second round selection (52nd overall) at the 2004 NHL Entry Draft. Where Will 2009-10 Texas Stars Play Next Season? With free agency period in full swing and the deadline for qualifying offers having just passed, let's take a look at the Texas Stars players from 2009-10 and where they have signed to play. I have included the highest level that the player is signed with. For example, Travis Morin will likely play for Texas, but is under contract to Dallas so his line says "Dallas". This list is mostly to track players who have left the organization. If I do not have information on a player's status, I have left the line blank. * - Fabian Brunnstrom is set to have an RFA arbitration hearing on July 23. ** - Lindgren is heading back to his native Finland for 2010-11. Big news for Texas Stars fans on the blue line tonight. The Stars got a big veteran presence on the blue line by signing Brad Lukowich to a one-year, two-way deal. Lukowich was under contract last year to Vancouver but played in Texas for 29 games at the beginning of the year. Lukowich was 3-15-18 with 10 PIMs and an even plus-minus rating. Number 37 will likely serve as a steadying veteran presence for Texas, which has lost Hutchinson, Jancevski, and Stafford. In other D news, Maxime Fortunus and Trevor Ludwig both accepted their qualifying offers from the Stars. Both contracts are reportedly two-way. Maxime's contract is for two years. No details are available, as of yet, on Ludwig's contract. 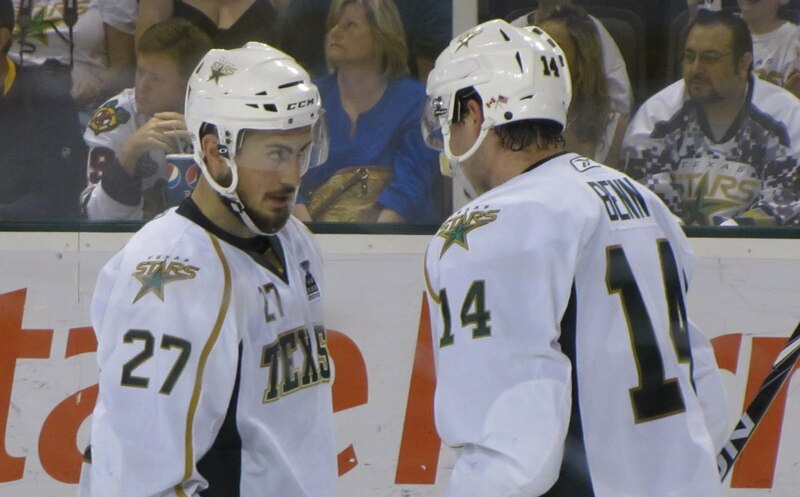 It is positive to see two strong defensemen for the Stars come back. I think Max's game needs a little more seasoning in the AHL before he can suit up in the NHL, but he is a great story. The Quebec native went undrafted and played through the Candian Juniors, ECHL, AHL, and has now played in several NHL games. Trevor Ludwig has developed steadily and earned a permanent roster spot in Texas after the departure of Brad Lukowich. He may be on his way to a career in the NHL like his father. The Stars will need to invest in shinpads if that's the case. Coach Gulutzan was at Stars Development camp last week, and he took a few minutes to talk between practice sessions. It was the first time I had talked to him since the end of the season. "These are such good things for the guys. It's a skill development camp, so whenever we can get guys out here and help them improve, especially in July, it's a good thing. I know it's hard for the players, especially in July, but the players are in such good shape. It's good to get them out there. We have coaches from Sweden here and skill guys from out west that come out here to work with the kids. Whenever you can teach them something, it's a good thing." "You know, if you look at it, I think we did a really good job and we had a great first season in Austin. We put hockey on the map a little bit there with the arena, the way they marketing things, and obviously the team's success and the playoff run. It got us off to a good start. Hockey-wise, it's always disappointing when you go to teh finals and you don't win, especially when you're up two-nothing. You rewind some of those things in your mind, but there aren't too many regrets that you have as a coach. You just wish you got a bounce here or there. I thought we played hard for the most part." "We already know we've lost a couple of those [veteran] guys. I think we're going to be a lot younger, but at the same time, these young guys may not be up to speed right away, but if we can as coaches do a good job and keep bringing these guys along, I think we have some potential. These young guys are good, they're just young. We have to do our job developing them. I think that's going to be key for us next year. To make sure we're working hard throughout the year and get focused on the second half, our young guys is always important in the American League." "It's big. Whenever your core group of guys can show the way, you can withstand losing players as long as the core and the mentality stays the same within the core. That's going to be important. We're going to need other guys to step up. Greg Rallo, Travis Morin, those types of players need to step up and be leaders, be more accountable than they were a year ago if we lose some players." Will the style of play change with a younger defense? "I don't think so. I think mobility-wise, our D can be pretty good but we're certainly going to have to play the same style and same game. I think we might even get some more offense from our back-end or we might have a little more dynamic back there. But we're going to have to work on our defending for sure." "Obviously with what's developed here [in Dallas], I think there's going to be battles. There's going to be battles there, there's going to be battles at our end. That's always a good thing when there's internal competition." "It's tremendous. I remember a year ago, probably, today, my wife crying that she didn't want to leave Las Vegas as we were looking for houses in Austin. But now I couldn't pry her out of there. She loves it; my kids love it. What a fabulous city! We rave about it up in Canada, how nice it is. Great community, great community people. I think that's what makes something that you call home is when you're surrounded by good people. Certainly, we've made Austin our home pretty quickly." Coach Gulutzan, his wife and four kids went back to Canada for the summer, as many players and coaches do, to be with family. According to Mark Stepneski of ESPN Dallas (formerly Andrew's Dallas Stars Page), the Dallas Stars have re-signed Aaron Gagnon to a one-year, two-way contract. Gagnon led the Stars in points in the inaugural season in Austin. Gagnon is the first of the Stars' restricted free agents to sign a contract. Cedar Park, TX – The Texas Stars announced on Friday that the team has agreed to terms with forward Greg Rallo for the 2010-11 season. Rallo enjoyed career highs with the Texas Stars in 2009-10, scoring 19 goals and setting up 25 others for 44 points in 69 games played. The 6-foot, 195-pound forward finished third overall on the team in goals scored and fourth overall in points for the regular season. Rallo also helped the Stars to a Western Conference Championship this year with three goals and ten points in 24 Calder Cup Playoff games. "Greg was an integral piece of our hockey team last season," said Texas Stars General Manager Scott White. "He is a solid two-way player who competes every night." The 28-year old will enter his fifth full season of professional hockey this fall. For his career, Rallo has 30 goals and 37 assists for 67 points in 172 AHL games played. The former Ferris State University standout also played in 83 games for the Idaho Steelheads from 2005-2008, scoring 32 goals and dishing out 39 assists for 71 ECHL points. The Gurnee, IL native made it to the Calder Cup Finals in 2010 with Texas and in 2009 with the Manitoba Moose. Rallo won the ECHL’s Kelly Cup in 2007 with Idaho. 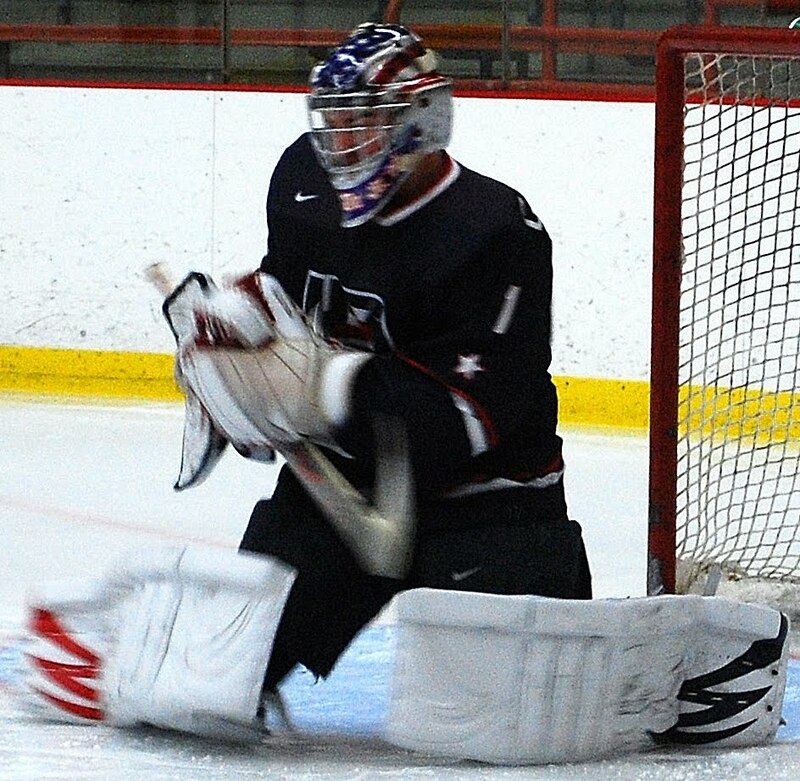 The Dallas Stars had the 11th pick in last month's NHL Entry Draft and selected goaltender Jack Campbell out of the USA Hockey National Team Development Program. Stars fans are probably most familiar with Campbell in the context of this year's thrilling OT victory over Canada in the World Junior Championships. Campbell was at the Stars Development Camp this past weekend, and I grabbed a quick interview. Campbell will be playing in the OHL with the Windsor Spitfires this coming year. The Spitfires are coming off back-to-back Memorial Cups. "I talked to Dallas a little bit before the draft. Not sure if it was going to be possible for me to go to such a great organization as Dallas. I've been following Marty Turco my whole life. When my name was called for Dallas, I really couldn't believe it. It was a shock to be honest with you. It was a great feeling, and I'm really excited about being a Dallas Star." "They've done a great job developing goalies. And the goalies, once they've gotten to the NHL, have had a great amount of success. Now with Coach [Mike] Valley here, he'll just continue that. I'm really looking forward to working with him all summer long to try to get to that next level and whenever they think I'm ready, hopefully I will be." "It'll be a good season. Coach [Bob] Boughner and [Vice President and General Manager Warren] Rychel do a great job with that team. They've both won Stanley Cups, so learning from those guys will be great for my experience as well as playing 60 games next season and the NHL-type playoff schedule. I'm really looking forward to that, as well as playing with a great group of guys and hopefully bringing a third consecutive Memorial Cup to Windsor." "I've kind of looked around, saw the [Stonebriar] mall and everything. It's all just so new and so clean around here. It's just so great and nice to see." "Going in as a rookie, you never know what to expect. Going to the finals, that was unbelievable. It was a great feeling." "I really like [Benn and Gagnon]. They're really easy guys to work with. Very smart, very skilled guys, made the game really easy, I think. We had a fair amount of success." "Obviously coming into the season, my goal is to play in Dallas. I want to be more of an offensive guy. I put up decent numbers personally for my first year. Be more of a specialty teams guy. I've seen a little bit of penalty kill throughout the season and a little bit of power play. I want to make that a regular thing for me. I want to be trusted in all situations." "I love the city. The weather's unbelievable. If I'm back there again next year, that's no problem. The city has so much to do and so much to see. We went out to Lake Travis there one of the last days after the season ended. It's like bath water out there. You jump in expecting a little bit of a rush and it's warm. It's nice. The whole area was unbelievable." Luke Gazdic: "Hit Everything That Moves"
Given rookie left-winger Luke Gazdic's cordial and pleasant off-ice demeanor, you would never guess his on-ice role. In his own words, "All I'm going to do is go out there and hit everything that moves and defend my teammates, if need be, by any means necessary." The 21-year old Canadian, the Dallas Stars 6th round draft pick in 2007, racked up the penalty minutes, earning 155 PIMs in 49 games with Texas in their inaugural season. The rookie also chipped in 3 goals and an assist. Gazdic, however, was sidelined for the Stars playoff run with a shoulder injury. The injury from early in the season was exacerbated when he was hit awkwardly in a game against the Moose on January 2nd. Gazdic missed some time in January but recovered to finish out the season. Luke, who was not on the Stars Clear Day roster, opted to have shoulder surgery at the end of the regular season and watched the playoff run from the press box. "I thought I was going to be able to get on the ice [at development camp]," said Gazdic during this weekend's Stars Development Camp in Frisco, Texas. "I'm only about halfway. Usually a full recovery is 16 weeks. The goal is probably the tournament at Traverse City. Hopefully I should be ready for that." Gazdic engaged in off-ice team building exercises and off-ice conditioning with JJ McQueen this past weekend. He also skated briefly between team practice sessions on Sunday afternoon. It was hard for the rookie to watch his first professional playoff run from the press box, especially some of the more physical games. "[With the] type of style of game I play, it was definitely hard to sit back and watch some of those games go on." Gazdic was spotted many a time on the verge of falling out the press box to get a better look at the scrums. "[I was] thinking about coming down to ice level, but I kept my cool up there." Gazdic is aware that he has some big fans in the arena who have latched on to his physicality. "If [the fans] have taken a liking to my style of play, that's also nice to see. You see a lot of Gazdic jerseys and t-shirts out there, and it's definitely nice when someone's showing you support. I'm glad I have some fans out there." Moving forward, the young winger knows that he is still growing as a player. "[Next year] I won't be a rookie anymore, but I'm still only 21 years old." Showing maturity, he also knows his role on the Texas Stars roster. "I'm not a skilled hockey player, I'm not a skill guy. I believe I have the ability to play, but that is not my role on a hockey team." "If I can chip in offensively every once in a while with a couple goals, that would be nice as well." And the crowd will surely go wild whenever he does. The Stars have lost two from their inaugural squad to the glitz and glamour of free agency. Earlier today, it was announced that center Warren Peters has been signed by the Minnesita Wild to a two year deal. Chances are he will spend most of his time in Houston. Goalie Matt Climie will be heading off to play Hundred-and-Twenty Degree Hockey in Phoenix. Climie is on a one-year, two-way deal. The Coyotes already have Jason Labarbera on a one-way contract to backup Bryzgalov, so Climie might spend some good time in San Antonio. Yesterday, Dallas signed two defensemen to two-way ELCs (entry level contracts). Severin Blindenbacher, out of Switzerland, will likely play for the Stars in Austin. Here are his stats. Additionally, the Stars signed Jace Coyle out of the WHL in a depth role. Both seem to have decent offensive numbers. Mark Stepneski at Andrew's Dallas Stars Page has already commented on the similarities between Blindenbacher and Philip Larsen, who will both be in Texas in 2010-11.